﻿ History of the Arawak Amerindians, Taino religion technology and culture. History of the Arawak Amerindians, Taino religion technology and culture. Historic perspective of the first settlers on Carriacou. How the Arawaks lived, about their beliefs and culture. Inventions and social life of the Arawak. 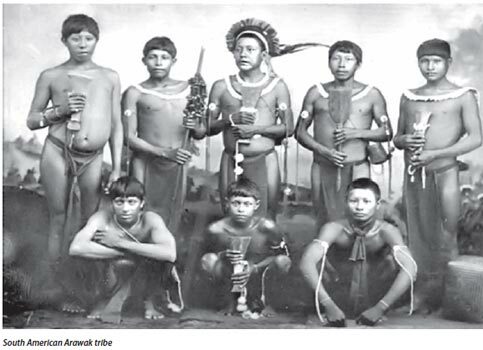 Guides » Taino Amerindians moving to the Caribbean became the roots of the Arawaks. 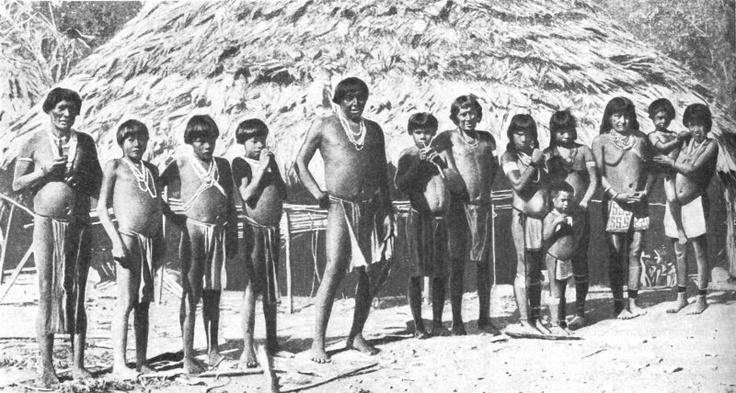 Arawaks, the Amerindians as first settlers on Carriacou. History of Amerindians in the Caribbean, the Arawaks. About Taino technology and culture, the Arawak history. Historic perspective of the first settlers on Carriacou. How the Arawaks lived, about their beliefs and culture. 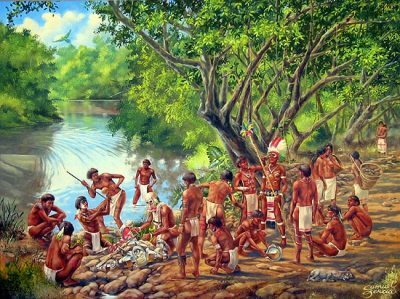 Inventions and social organisation of the Amerindian Taino. Taino settlement, housing and transport by canoe. When Columbus arrived at Hispaniola there were no people called ‘Arawaks’, and there never had been. If you were to go to Santo Domingo today people would tell you that their Amerindian ancestors were the ‘Taino’. As a matter of fact, Indians of the Greater Antilles did not call themselves ‘Taino‘, nor do they call themselves ‘Arawak‘ . That name was given them in 1935 by Sven Loven, a Swedish archaeologist, from the word denoting in the Indian lauguage the ruling class of their society. In general, the native people from the Greater Antilleans prefer to call themselves Taino. Amerindians of the “Saladoid” culture, originally came from the Venezuelan mainland. They were referred to as “Arawaks“, because of the language they spoke. Using Trinidad as a stepping stone they spread up the Caribbean and beyond. Ethnologist have noted common characteristics with the cultures of south eastern USA. For many years this led some to believe that they originated there, archaeological finds have confirmed that their origin is most certainly Amazonic. These people of the Greater Antilles were not Arawaks but Taino Amerindians. Despite their peacefull nature, they did not passively accept Spanish depradations. 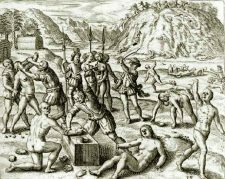 Spanish in conflict with the Taino. As an example of resistance to the invadors serves the story of Hatuey. He was the Amerindian chief on Hispaniola who organized to fight the Spanish. Hatuey was, when captured, burnt at the stake. 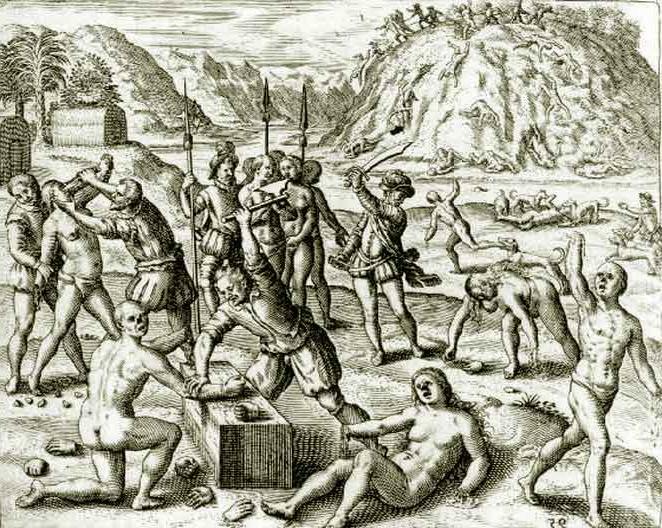 Amerindians fighting the Spanish invaders. Repent and go to heaven, they told him as they lit the fire. If there are Spaniards in heaven I would rather go to hell, he replied. Hatuey was not the only defiant one. There were several others, men like Guarocuya (Enrique) in Hispaniola, Uroyoan in Borinquen (Puerto Rico) and Guama in Cuba. Guama confronted the strange, terrifying European weapons. The man-eating dogs, the guns, the mounted soldiers, the naval galleons. He did so with great courage and determination. The Arawaks people inhabited the lands that extend from Florida through the Caribbean to Bolivia, Paraguay and northern Argentina. The Arawaks were a very gentle culture, they preferred negotiation and commercial exchange to war. Their society was characterized by happiness, friendliness and a highly organized hierarchical, paternal society, and a lack of guile. Each group was a small kingdom and the leader was called a cacique. It was a great honor for a woman to be married to a cacique. This developed more so in the Arawaks of the Caribbean. On the Caribbean islands existed some degree of slavery. The Arawaks employed prisoners and in some cases other individuals. These had to perform services that were not expected of natural members of their communities. It was not a hereditary slavery as in the old world culture. Forcing to obey was simply the initial stage of submission of strangers to the tribe. Newcomers had to work so as to be eventually assimilated. The Arawaks practiced the custom of couvade/covada, that is they considered that the father is affected in some way by the birth of his children. Laying in his hammock, abstaining from work and eating and drinking specific foods for a period of time. Arawak men in traditional dress. The men cleaned the land for planting, but the rest of the agricultural activity was done by the women. The men worked wood and fabricated armament, hunted, fished, wove baskets an collected in the forest. The women, wove, made hammocks, cooked and prepared the cassava. They also attended to their husbands hair and painting their bodies according to ceremonial rules. 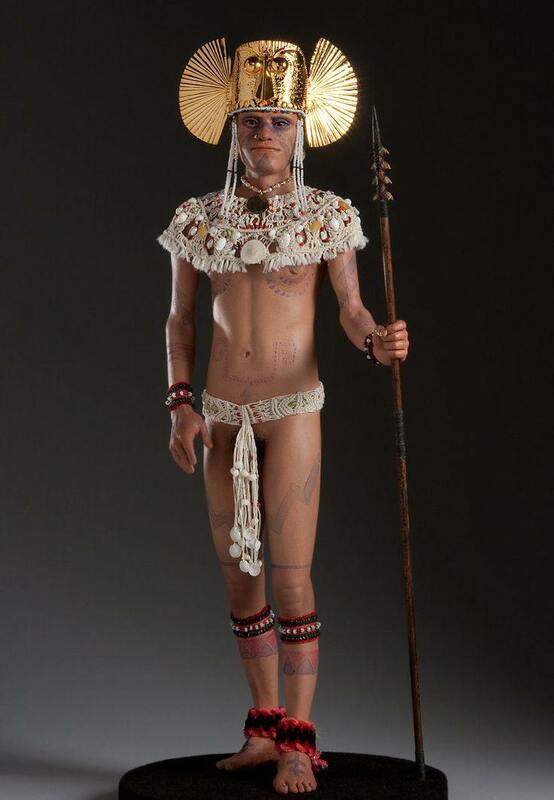 Clothing of the Taino – Arawaks. The single Arawaks walked naked. Their women if single, were naked and if they were married they would use a “nagua“. The nagua is a kind of apron that covered them from their waist to the middle of their legs. Housing of the Arawak – round structures. Family house of the Arawaks. 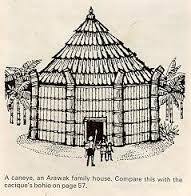 The Arawaks used two primary architectural styles for their homes. The caciques were singled out for unique housing. Their houses were rectangular and even featured a small porch. Despite the difference in shape and the considerably larger buildings, the same materials were used for all Arawak housing. 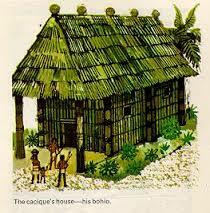 The house of the cacique contained only his own family. However, given the number of wives he might have, this constituted a huge family. support and these were covered with woven straw and palm leaves. The round houses of the common people were also large. Each one had about 10-15 men and their whole families. As a result any Arawaks home might house a hundred people. The houses did not contain much furniture. People slept in cotton hammocks or simply on mats of banana leaves. They also made wooden chairs with woven seats, couches and built cradles for their children. In addition to the two types of houses, the typical Arawaks village contained a flat court in the Centre of the village. The central court was used for ball games and various festivals, both religious and secular. Houses were built around a central court. 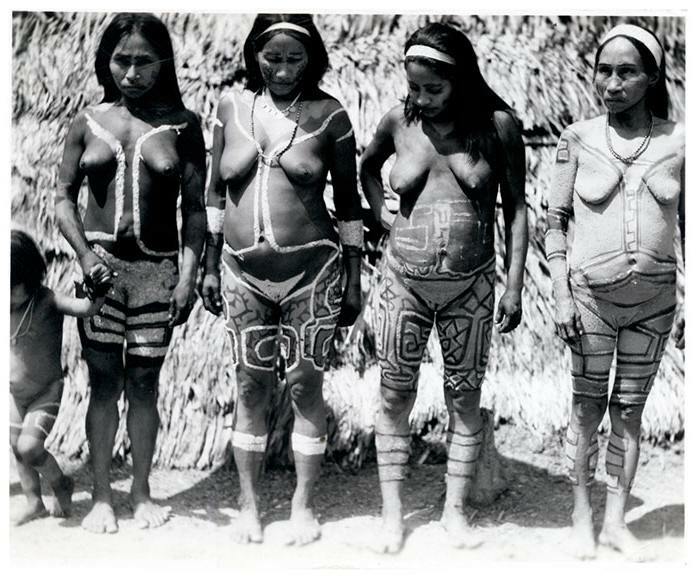 The Arawaks had a hierarchical society, and there was only one Cacique in each village. The Cacique was paid a tribute (tax) to oversee the village. There were other levels of sub-caciques, who were not paid, but did hold positions of honor. These assistants to the Cacique were liable for various services to the village and the leader himself. Technology of the Taino – Arawaks. Stone art by the Arawaks. Stone making was especially developed among the Arawak, but they seem not to have used it at all in building houses. Stones were primarily used for tools and for especially religious artifacts. They also introduced their art of weaving, basket making, carving and painted ceramics which incorporated symbols from their spiritually evolved belief-system. Weaving fibers and making hammocks was a standard skill among all Amerindian trines. 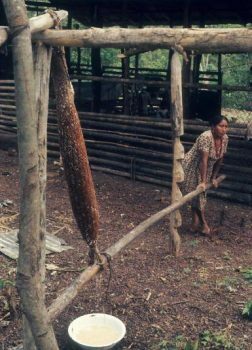 The Arawaks developed a system for extracting the poisonous liquid out of the bitter cassava, using a sebucán. Arawaks in front of traditional housing. Dress of Arawak men and women. The men were generally naked, but the women sometimes wore short skirts. Men and women alike adorned their bodies with paint and shells and other decorations. Diet of the Amerindian Arawaks. Sebucan for extracting poisonous cassava liquid. One of the Arawak’s primary crops was cassava. This is a root crop from which a poisonous juice must be squeezed. Then it is baked into a bread like slab. 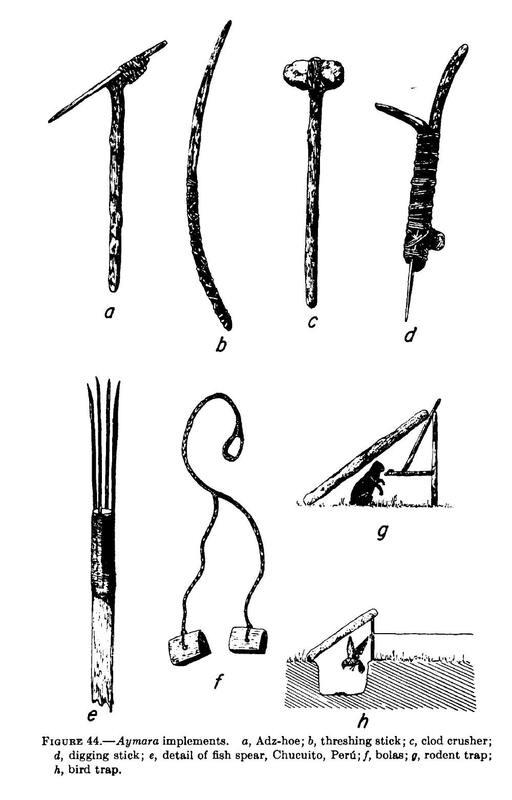 The Arawaks used a sebucán to extraxt the poisonous liquid from the Cassava root. That cassava bread which they made from grated yucca was the staple of the Arawaks that lived in the forest. The coastal inhabitants used corn Instead of cassava . As stated earlier, a basic source of food was the bread made of cassava or corn. The sebucán was invented to extract the poison from the cassava root. Food sourcing by Arawak the women. Apart from that, the Arawak diet was cantered around wild meat or fish as the primary source of protein. They ate snakes, various rodents, bats, worms, birds, in general any living things they could find with the exception of humans. They were able to hunt ducks and turtles in the lakes and sea. 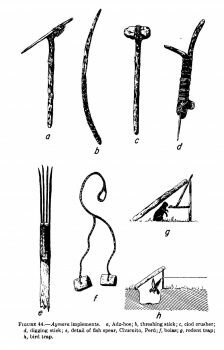 Amerindian hunting tools and weapons. 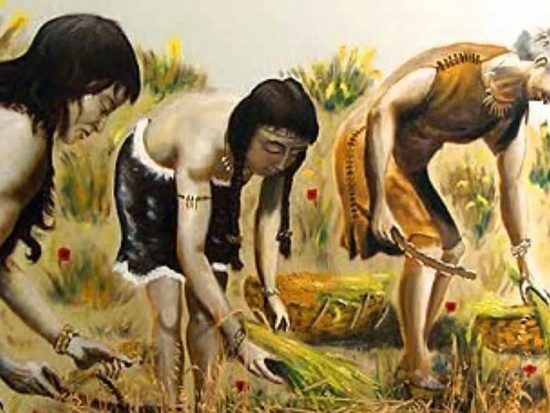 The natives of the interior relied more on agriculture and hunting, using less fish in their diet. The Arawak raised their crops in conucos, a system of agriculture they developed. Cotton was grown and woven into fishing nets. They raised tobacco and enjoyed smoking very much. It was not only a part of their social life, but was used in religious ceremonies too. Transport of the Arawaks was mainly by canoe. The Arawak had no large animals like horses, oxen or mules to ride or use for work. Instead they did have river and sea transportation. Wooden canoes were the main means of transportation between and around the islands. See some examples in the museum of Antigua. 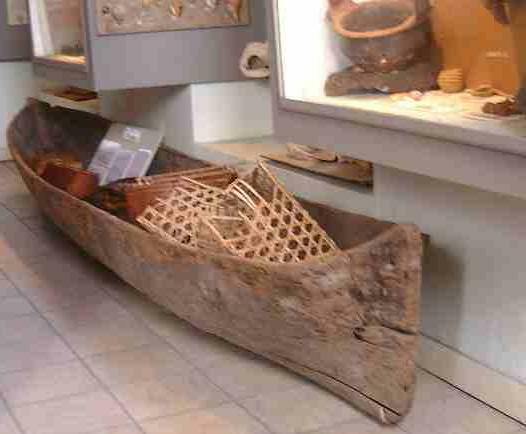 Antigua museum – Arawak Canoe. These dugout canoes were cut from a single tree trunk and used with paddles. 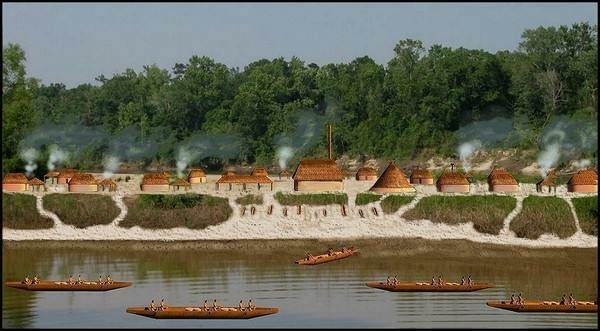 They could take 70-80 people in a single canoe and even used them for long travels on the sea. The Arawaks traveled rivers and seas, using curiaras and piraguas. They also traveled with sails made of woven leaves of the moriche palm (mauritia flexuosa). The Arawaks were navigators of incessant activity. They travelled rivers and seas in their canoes. As a result of the proximity of the Arawak and Carib cultures over the centuries it is difficult at times to credit one or the other with development of some technologies. Defense systems of the Arawak people. The Arawak themselves were quite peaceful people, but they did have to defend themselves from the Caribs who were cannibals. Therefore the Arawak / Taino had some weapons which they used in defence. They used the bow and arrow, and had developed some poisons for their arrow tips. They had cotton ropes for defensive purposes and some spears with fish hooks on the end. Since there were hardwoods on the island, they did have a war club made of macana. The polytheist religion of the Arawaks. 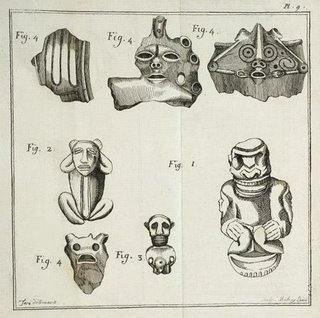 Taino Zemi, religious symbols of the Arawaks. The Arawak were polytheists and their gods were called Cemies or Zemi. The Antigua History site has a well written article about the religion and customs of the Arawaks. 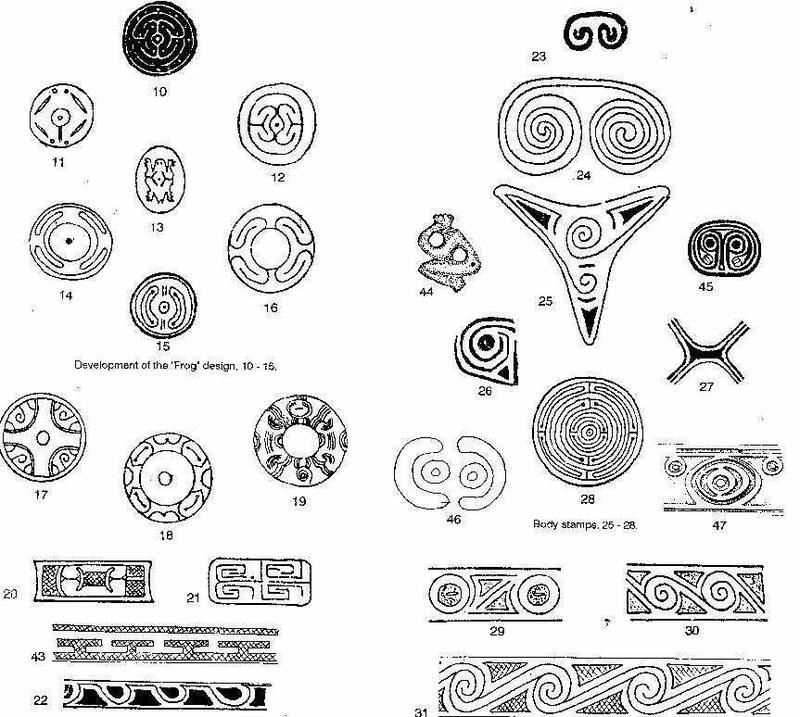 Taino art patterns from south america. Religious worship and obeisance to the Cemie themselves. Medicine men, or priests, consulting the Cemie for advice and healing. This was done in public ceremonies with song and dance. Dress and objects in a Taino celebration and rituals. People had special dress for the ceremonies which included paint and feathers. From their knees on down they would be covered in shells. The cacique sat on wooden stool, a place of honour. People induced vomiting with a swallowing stick. This was to purge the body of impurities, both a literal physical purging and a symbolic spiritual purging. The ceremonial purging and other rites were a symbolic changing before Cemie. Women served bread (a communion rite), first to the zemi, then to the cacique followed by the other people. The sacred bread was a powerful protector. (The interesting similarities between this ritual and the Christian practice of Eucharist is obvious!). Finally came an oral history lesson, the singing of the village epic in honour of the cacique and his ancestors. As the poet recited he was accompanied by a maraca, a piece of hardwood which was beaten with pebbles. The afterlife and meeting again. In the Arawak beliefs there was an afterlife where the good would be rewarded. They would meet up with dead relatives and friends. Most of the people they would meet in this paradise were women. Therefore it is curious to speculate if it was mainly women who were considered good. Alternatively, there might be some other reason accounted for this division of the sexes in the afterlife. About the Zemi, late Caciques and their powers. various distorted and hideous human faces. The zemi, as well as dead caciques, have certain powers over the natural world and must be dealt with. Thus these various services are ways of acknowledging their power (worship and thanksgiving) and at the same time seeking their aid. References on the internet about the Arawaks. Arawaks, indigenous caribbeans – on blackhistorymonth co uk. Political organization of the Arawaks on Wikispaces. The language as spoken by the Arawak people, article by the Universtity of the West Indies. The history of Jamaica has a good article about the Taino people. Strange enough, on Wikipedia you will not find a lot about the Arawaks but a huge amount of info about the Taino Amerindians. Notice: This is a compilation of material found on the internet. We tried to make a compact narrative about the Arawaks for visitors of the Grenadines. Since much of this content can be found in one or another way on many sites, owners of copyright are unknown. However: if you claim rights on any of this sites content then do not hesitate in contacting us. Previous: Belair cultural and historic area. Next: History of the Caribs – Garifuna -Black Caribs.